In stock - low quantity. Order in the next 1 hour, 7 minutes and it will go out today! 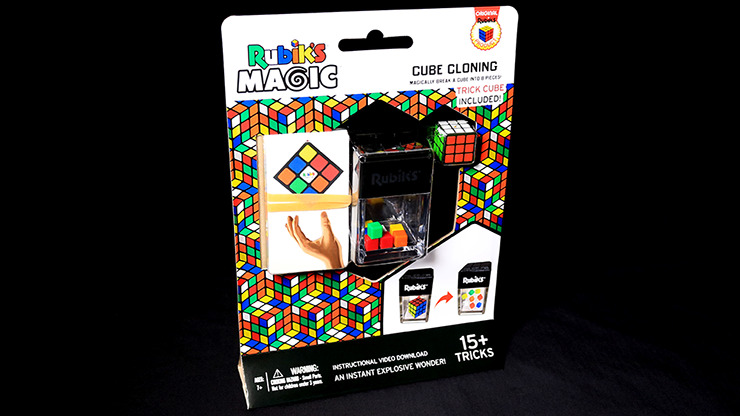 Two amazing Rubik's Cube effects in one small package! First up, you can blow up a Rubik's Cube into tiny pieces using this small apparatus, or you can transform it into something else of your choice! You also get a stack of rubber-banded cards. The spectator signs the picture of the hand holding the Rubik's Cube, but when the card is removed from the stack and given a little shake, the Rubik's Cube pic falls apart! So blow up some cubes and some spectator minds at the same time. Buy yours today!